The South Bend Tribune editors published an opinion column on June 28th advocating the need for new Indiana bicycle laws and specifically mention State Senator John Broden’s bill which includes provisions for a three-foot passing law. They note increased cycling in Michiana as indicated by the successful Bike the Bend event and recent census data as part of their motivation. Very nice video piece on bicycle commuting from USA Today can be found HERE. This news just in from Bicycle Indiana. ” We’re pleased to announce that the BMV has approved Bicycle Indiana’s application for a special group license plate. That means beginning Jan. 1, 2011, you can pay an additional $40 for an “I Share the Road” plate, and $25 will go to Bicycle Indiana. For the second year in a row, there will be a criterium road race held in the Howard Park neighborhood on Saturday, June 12. 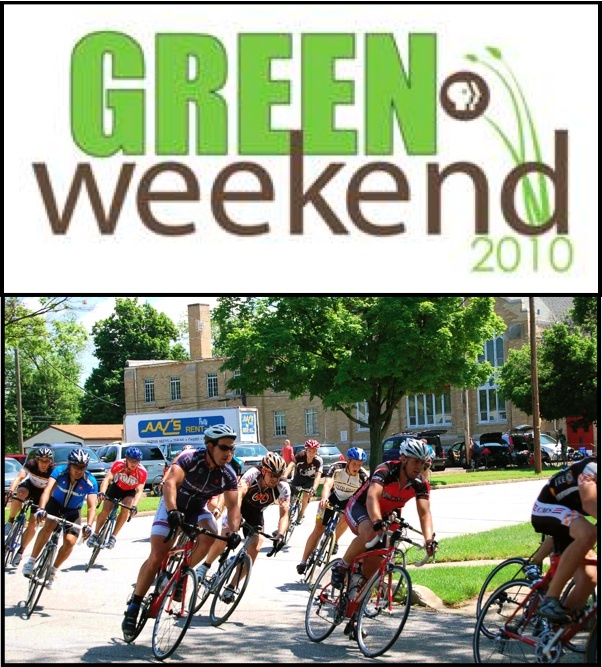 This will be part of the Green Weekend celebration and is sponsored by WNIT Public Television and Pro Form Bike Shop. Please view the official press release on the Downtown South Bend website for more details. As reported on May 26th in Inside Indiana Business, the 2008 census indicates that South Bend is Indiana’s leading city for bicycle commuting. Congratulations and thanks to the cyclists, volunteers and city employees who have made this happen. There is still work to be done, but the recent progress is impressive!